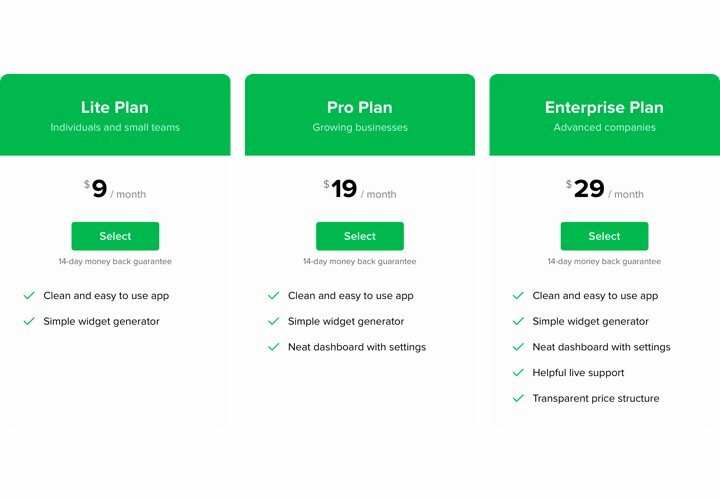 Pricing plays one of the critical roles in motivating clients to buy. Elfsight Module not only helps customers of the page to study and understand your price offers quickly. It also helps boosting conversion by means of the latest trends in interface and templates. Increase sales of your site with the help of effective pricing. Help users finish their purchase journey with a positive decision. Show all the data your potential clients are looking for simply and effectively, and help them make the right choice. 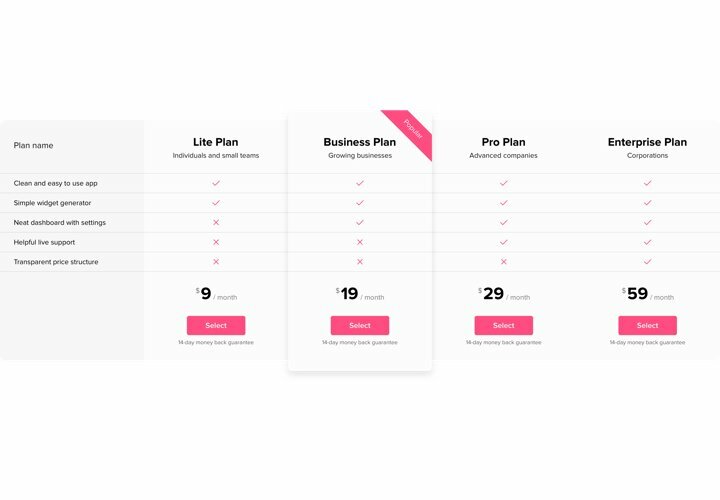 With a rich variety of options allowing generating all possible sets of pricings just in3 clicks, you will definitely find the one that will be highly effective for you. Give full info about your offers. 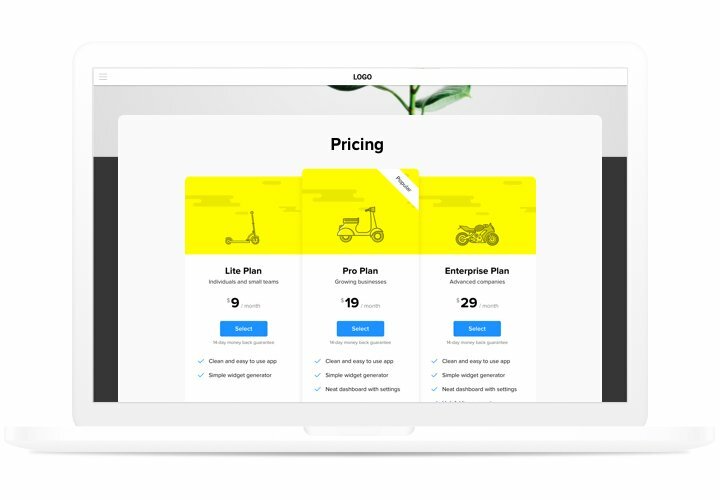 Tell all the story about each of your pricing plans and demonstrate them into your module, so that clients could easily search and check your conditions. The features that turn our module into the best Pricing Table for Joomla websites. A tutorial on inserting of our module. To perform it, you don’t need experience in web development or much time. Only 3 simple steps and 3 minutes of time. Download the extension using «Download» link from Pricing Table page on Joomla Marketplace and install to your website. 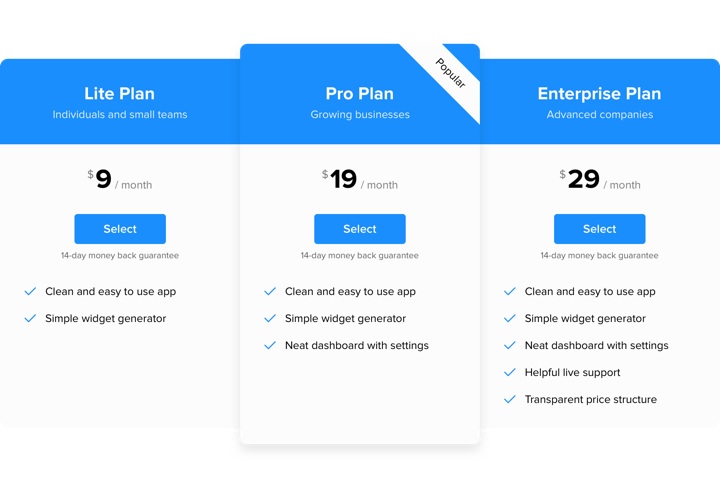 On «Install Extensions» page go to «Upload Package File» tab and integrate Pricing Table. After that, open «Components» section, choose the added extension, and enter the required settings. 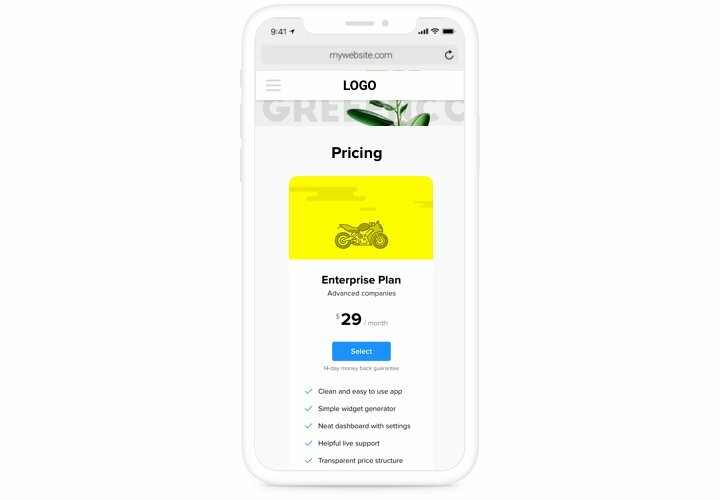 Show Pricing extension on your webpage. The personal code, acquired after installation, should be added to the desired page. Then save all the changes. Module adding to Joomla is complete! Having issues with adding the module? Study our complete tutorial «How to integrate pricing table into a Joomla» or address our customer support, which will solve all kinds of issues with pleasure. 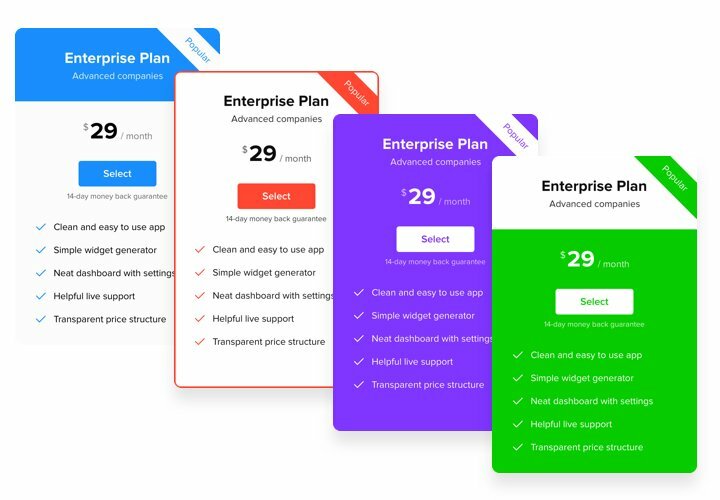 Set the best Joomla Pricing Table extension in just 70 seconds!